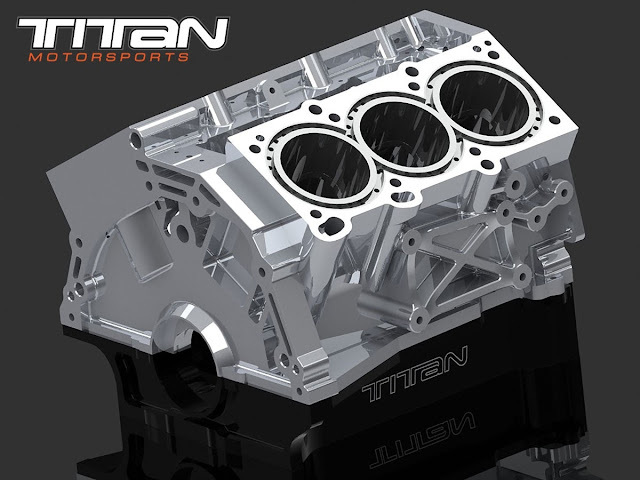 Our development partners have already found great success with our Titan Motorsports stroker kit, and wanting to give them the tools to push further we began development of a full CNC block. The blocks have been designed to accommodate Darton MID sleeves that will have bores available to 100mm. The area surrounding the head studs has also been engineered to allow for additional material around the threads to beef up this crucial area. Featuring a 2 piece design, the bottom girdle portion is machined from 7075-T6 Alloy that has been hard anodized black. 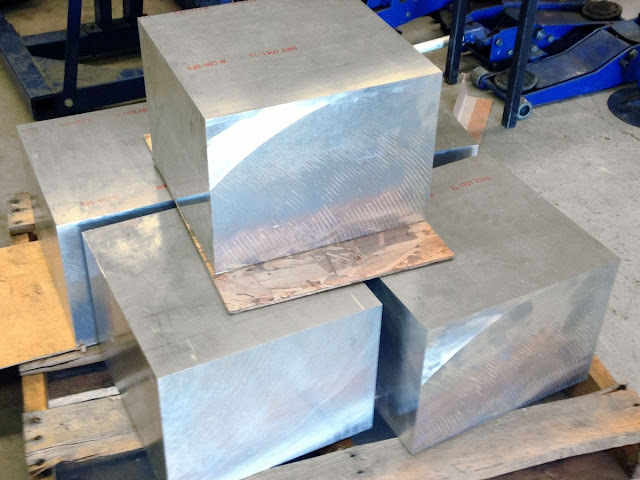 The upper portion of the block will be machined from 6061-T6 Aluminum. The block has already been CAD rendered and the first raw materials have arrived and wait machining. We anticipate the completed product to be in our hands in the next 2-3 months for initial real world testing before being released to the general public.